The testing facility used was EMMISIONS ANALYTICS LLC out of California. 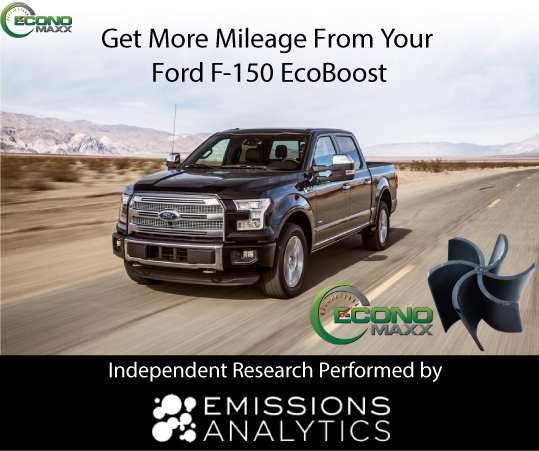 Our objective was to test the effectiveness of the Econo Maxx device on a 2015 Ford F-150 EcoBoost 3.5 litre V-6 engine. 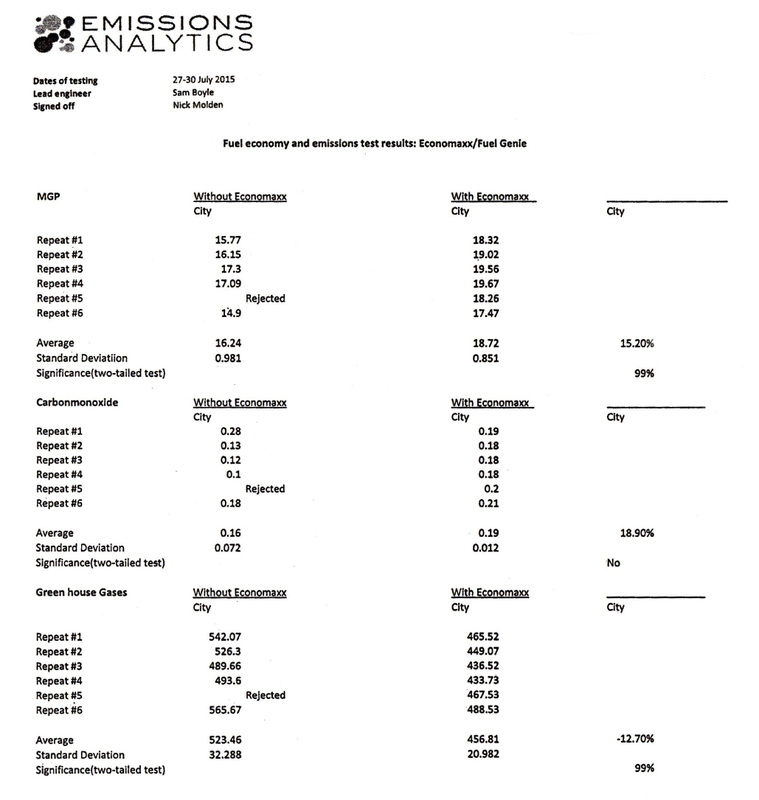 The test spreadsheet attached shows before the Econo Maxx was installed and after the Econo Maxx was installed. It was tested for emission reduction and city driving. The product was tested 6 times with the Econo Maxx and 6 times without, using the same vehicle. The results were that each test was consistent in its findings. There was significant reduction in emissions; an average of 12.7% reduction of greenhouse gases and fuel consumption had a reduction of 15.2%. The Econo Maxx can be installed in any make, model or year of diesel fuelled or gas engine. The Econo Maxx is also compatible with all heavy equipment. Results run from 10% to 20% in fuel savings depending on the vehicle the product is installed in.